Today i ma going talk about tracking the number of clicks that any of your particular links receives when you share them on social media. There are many online tools available like Google Analytic, Alexa and StatCounter etc, which you can use to track all the activities of your site and blog, and blogger it self provides all the stats about your blog and posts views, the number of comments, monthly page views weekly page views etc. 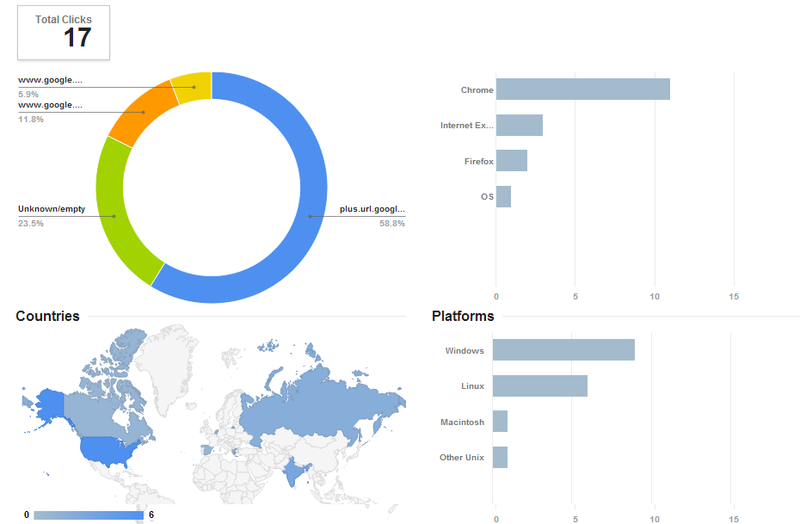 But these tools provides a very brief data about your site. Which we really don’t need some time. But some time its difficult for us to track the traffic stat which comes from social media, In blogger stats, it only shows the total number of page views from a Particular sites like Facebook, Twitter, or Google plus etc. But what if when you want to track that how many clicks any of your particular link has received that you have shared on social media?. Google always has a solution for our problems, You can use Google URL shortener this tool really helps when you really create a shorten URL and want to track that how any of your shared links is performing and how many clicks it has received on social media. 1- You can easily use a short URL instead using a longer URL of your post. It helps you share your post on social media like a brand. 2- You can easily tack that how many clicks any of your particular link has received, from where the link has been clicked, Which browser is used to open that link, in which countries the link has received maximum clicks etc. It’s really easy to use Google URL Shortener. 2- Now paste your longer URL of your post and click Shorten URL button. 3- Now you can copy the shorten URL and you can share it on social media site. Your URL is now added to Google URL Shortener, and shortly it will start tracking all clicks and stats that your short URL link would receive from Social media. To view the tracking details just click on Details and it will show you all the tracking details with total number of clicks on that particular link. A short URL is really good, as its helps you organize your links, and it keeps your link shorter so it can be shared any where easily like on twitter where you can’t post a longer tweet, so it keep your URL short which saves some extra space for your content. It also gives branding to your links and increases the post CTR. 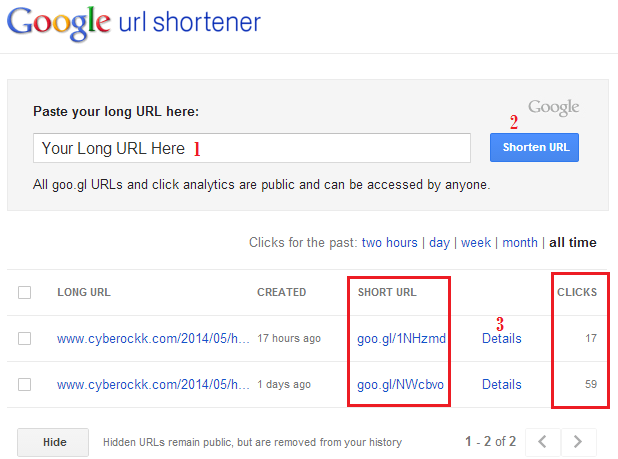 By using Google URL Shortener, you can keep track of all of your Links performance over the social media sites. How you going to use this tool? share it in the comments and you can also give your views and suggestions in the comments below.